A major French luxury group is not a major French luxury group without its starchitect-designed foundation building. 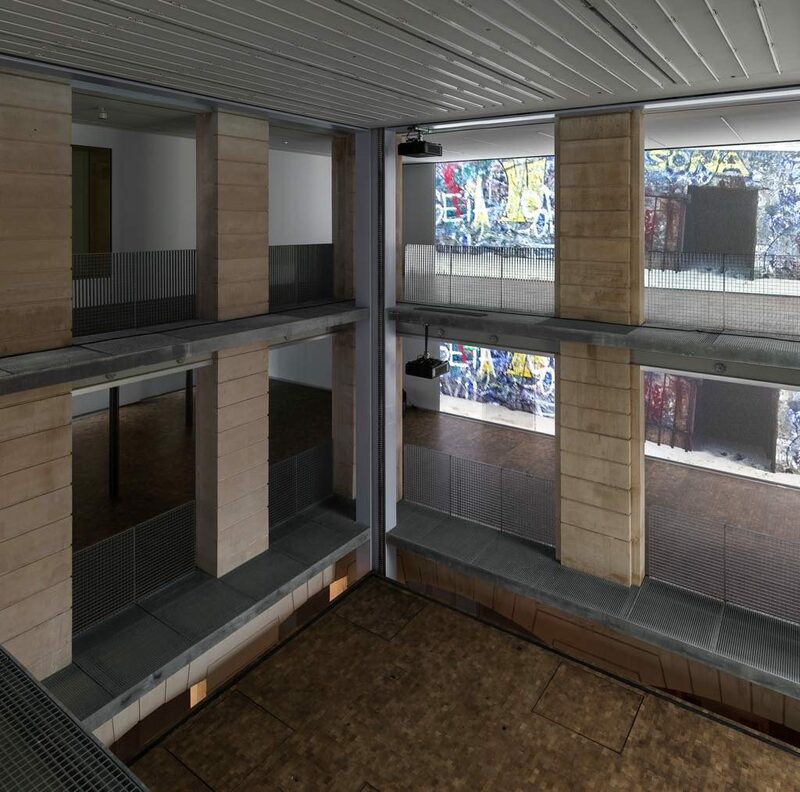 The Louis Vuitton Foundation scored big with Frank Gehry in the Bois de Boulogne, and the Pinault Foundation by Tadao Ando is set to open its contemporary art space at the beginning of 2019 in the former Bourse de Commerce in the heart of Paris. 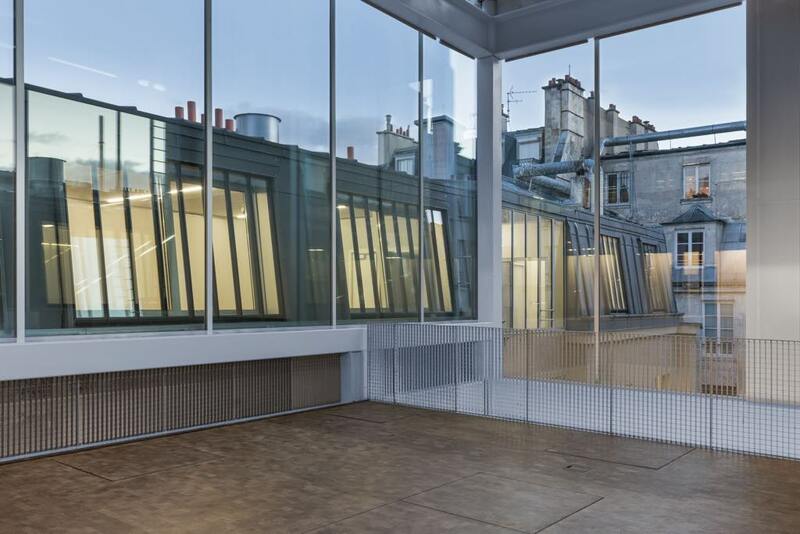 Now Galeries Lafayette has thrown its designer hat into the ring with its Lafayettes Anticipations building in the Marais, renovated by Dutch architect Rem Koolhaas and his agency, OMA. 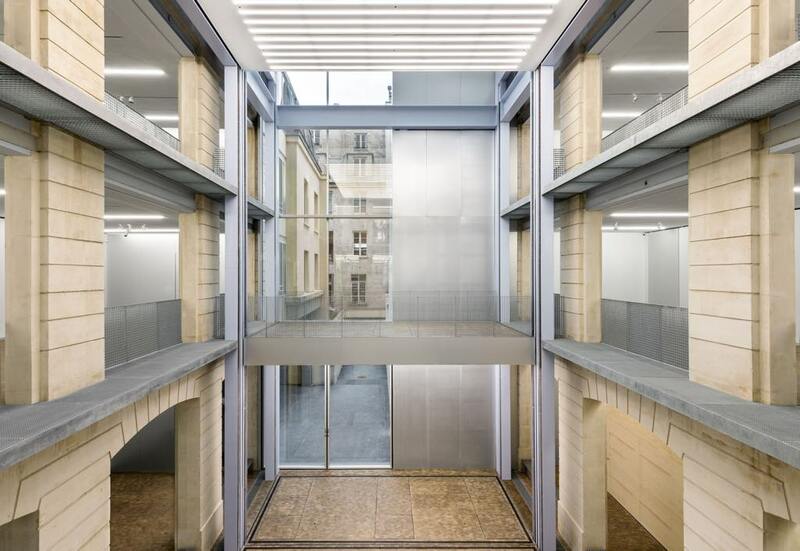 Koolhaas’s firm has used a light touch in its renovation and preservation of the 19th-century industrial building, originally a warehouse for the department store BHV (now part of the family-owned Galeries Lafayette Group). The boldest move is the installation of platforms that can move up and down between the three floors of the building’s atrium, or “exhibition tower,” making over 40 different configurations possible. 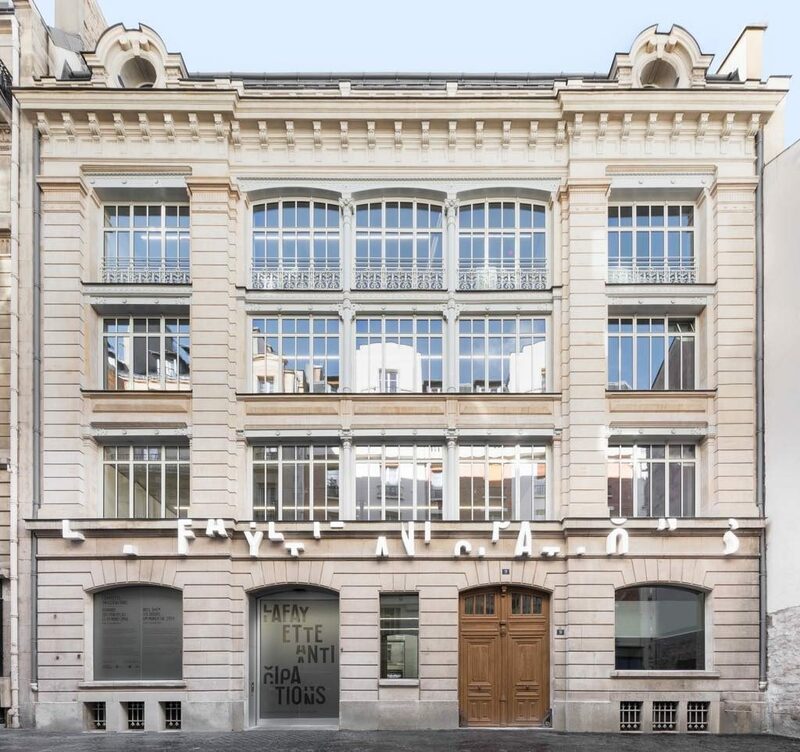 The building, which will be open to the public (exhibitions will cost €5 through April 30, 2018, €8 thereafter; access to the ground floor is free), will be used for exhibitions and performances, and will provide workshops for invited artists. One space will be allocated to members of the public to work on their own art projects. 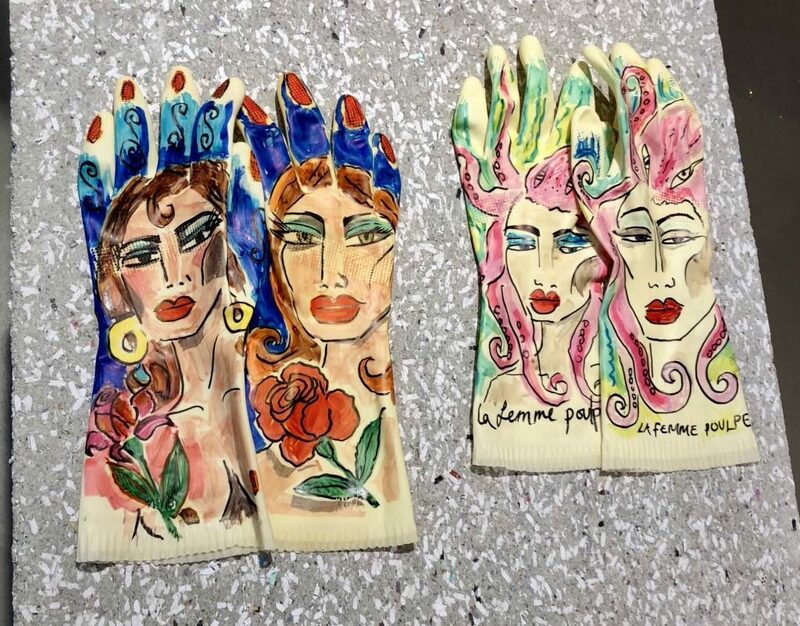 Gloves on sale in the shop. And, this being Galeries Lafayette, the building houses a high-end shop with a range of cool items, some of them by artists, as well as art books. There is also a café and restaurant. The first exhibition (through April 30), by Lutz Bacher, is a video and sound installation, “The Silence of the Sea,” that inhabits the whole building. Entrances are located on both sides of the building (Rue de Plâtre and Rue Sainte Croix de la Bretonnerie), providing a handy shortcut from one street to the other. The building opens its doors for the first time to the public this weekend.